A stroller is unquestionably one of the most frequently used and indispensable items you’ll need for your baby. Baby strollers come in all shapes, sizes, and fabrics, with every feature you can imagine. 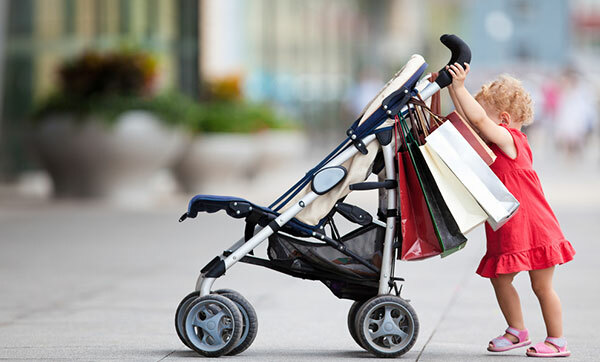 From active and all-terrain strollers; easy-to-handle, lightweight ones; sturdy, classic carriage strollers; and much more, it’s no wonder that shopping for one can often be an overwhelming experience, especially for the first-time parent. Because your stroller will most likely be used on a daily basis well through the toddler years, it is important to find the one that best suits your lifestyle and budget. Also keep in mind that your stroller needs will change as your baby grows and you may find one–or more–that is just right for you. Your Lifestyle – If you plan to do a lot of walking, you’ll need a sturdy model with good suspension. If you rely on public transport, size, weight, and portability are essential considerations. Check how quick and easy it is to fold for catching a bus or negotiating a flight of stairs. If you are doing more walking than driving, you’ll need a stroller that can take you around the block and downtown. If you’re a suburban driving machine, you will be A-OK with a model that is lightweight, stores easily in your trunk, and has good maneuverability. For the athletes and outdoorsy types in the audience, a jogger might be just what you are looking for. Space Limitations – How big is it, folded and unfolded? Will it fit in the trunk or back seat of your car? Will it fit through an average-size door? Can you take it on a subway or bus? Stroller Weight – If a lot of lifting and climbing stairs is expected, choose a lightweight stroller. Trying to coerce a heavier model up or down stairs isn’t safe for you or baby. 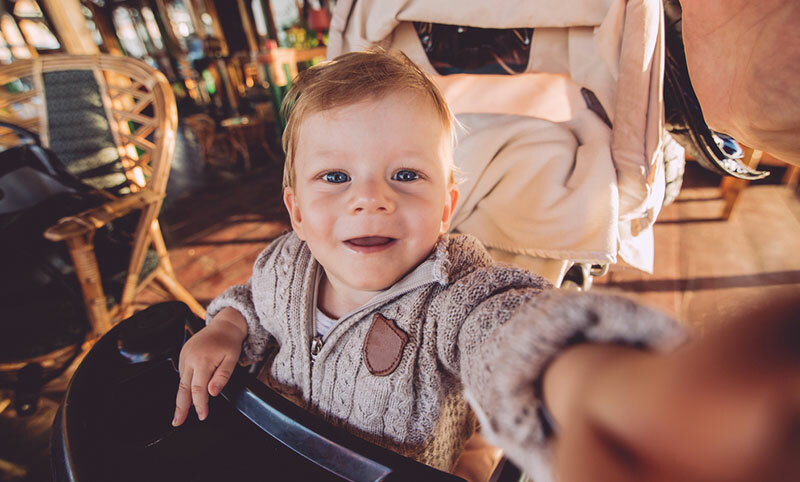 Your Child’s Age – Only strollers that fully recline are appropriate for babies under 3 months old, while a convertible stroller will take you through the toddler years. If you have more than one child, a double stroller is an obvious choice (be sure to get one that fully reclines if you have one or more young infants). 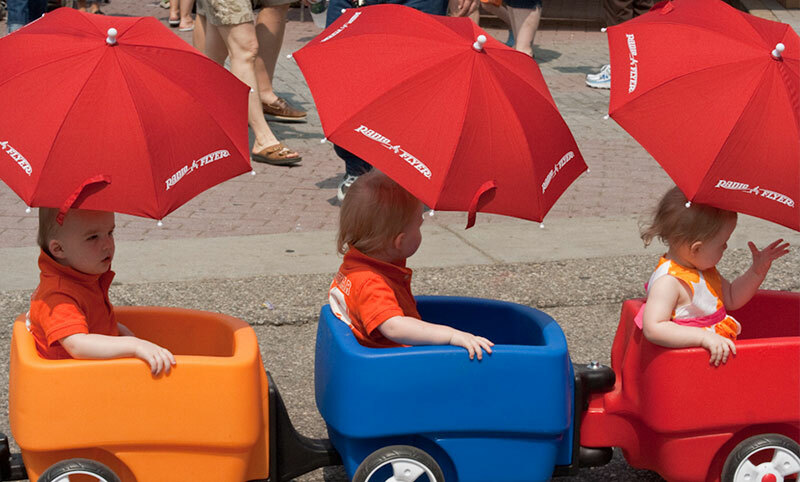 And, for toddlers, a lightweight or umbrella stroller is just right. Your Height – While your baby’s comfort and safety are most important, remember to also consider your height and stride when making a choice (longer legs take longer steps). Your stroller needs to be comfortable for both you and your partner, so look for a model with adjustable handle height if you plan to share pushing responsibilities. Wheel Type – Unless you are looking for the additional stability offered by the fixed-position and oversize wheels usually found on joggers and larger prams, fully independent wheels are recommended for mall and supermarket use. Their caster-like movement allows for the best maneuverability and many models feature a locking device to point the front wheels straight forward for added stability. Will This Be Your Only Stroller? Many parents have two (or three) strollers for various needs. A full-size stroller is great for longer, bumpier rides, and the ultracompact umbrella fits everywhere from your trunk to an overhead bin on an airplane. If you’re only buying one, keep portability at the top of your list. Sanity-Saving Features – When you are shopping for a car, you usually know if you want AC or power door locks. There are many innovative and sanity/time-saving stroller features available today. Some models boast the beloved one-hand-fold feature, which you’ll find indispensable while packing your baby and your stroller back into your car; others have all-terrain wheels; and still others have parent trays. Bells and whistles can sometimes make all the difference; other times, they seem silly. Plan ahead and think about what you can and cannot live without. Your Budget – It is possible to find a great stroller without spending a fortune. And, of course, you can find subpar strollers at sky-high prices. However, more often than not, you get what you pay for. Think carefully about the features you need, and then narrow by budget. Your purchase could potentially last you from your child’s infancy well through the toddler years, so investing in a quality pick might be more economical in the long run. If the seat adjusts to a reclining position, make sure the stroller doesn’t tip backward when the child lies down. Always secure the baby by using the stroller’s seat belt. Don’t hang pocketbooks or shopping bags over the handles. If your stroller has a shopping basket for carrying packages, it should be low on the back of the stroller or directly over the rear wheels. 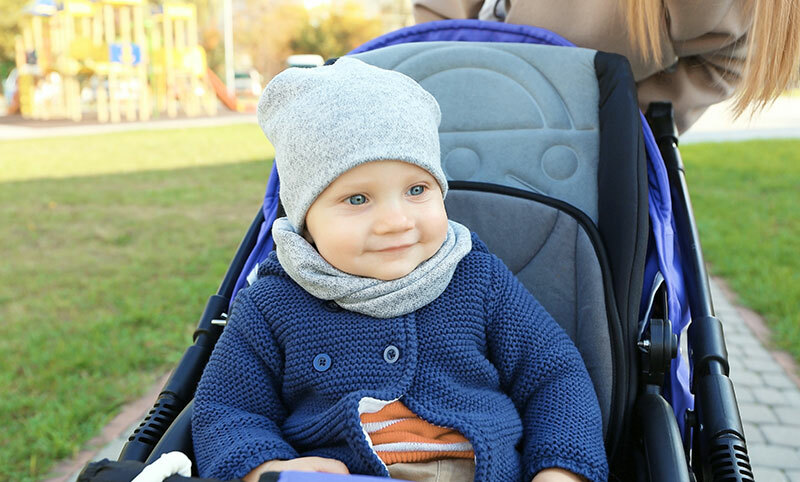 Use the locking device to prevent accidental folding and apply the brakes to limit rotation of the wheels when the stroller or carriage is stationary. When you fold or unfold the stroller, keep your baby’s hands away from areas that could pinch tiny fingers. Parlez-vous stroller? If not, try our handy glossary–filled with a few stroller-related terms that may be new to your vocabulary. All-Terrain Wheels – Think mountain bike tires. These rugged rubber tires don’t necessarily give you more traction and a smoother ride but are great if you are pounding more than smooth pavement. You will find them featured mostly on joggers and some carriages and prams. Canopy – This fabric–sometimes collapsible–shield helps protect baby from sun, wind, and rain. 5-Point Harness – This type of harness consists of five straps: two at the shoulders, two at the legs, and one at the crotch. This allows parents to adjust the harness closer to the infant’s body and is easy to buckle and unbuckle. Weather Boot – This fabric “pod” usually snaps onto the stroller seat or bar, keeping baby’s legs and feet warm and dry. For something that is supposed to be a convenience by its very nature, the search for the perfect stroller can be quite an overwhelming experience. Never fear. We have compiled a detailed view at each type of stroller for your convenience, as well as our picks of the best strollers in each category.